Given his record at Home Depot, one would have thought that Bob Nardelli would have had trouble getting hired as CEO of any major corporation. But, as we examine his record at Home Depot, it is not surprising he found a home as CEO at Chrysler. After all Chrysler has a history of poor labor relations, shoddy products, and eroding market share. There have been many articles in the business press, speculating as to whether Nardelli will help turn around Chrysler. I can give you the short answer—no. In a competitive market you don’t succeed by screwing your employees and customers. The only way to turn around Chrysler, or for that matter any firm that has to compete in a free-market, is to improve relations with both customers and employees. Given his track record at Home Depot, Nardelli is very unlikely to complete this mission. Home Depot, was founded by Arthur Blank and Bernard Marcus. Both believed in a decentralized corporate culture where individual stores had wide autonomy. Both founders believed in hiring high-paid, full time employees with experience as plumbers, electricians, painters, etc. The result was a fast growing chain known for customer service. As authoritarian leaders usually do, Nardelli managed to alienate both customers and employees. To save money Nardelli replaced full-time workers experienced in the building trades with inexperienced part-time workers. Unlike the founders who were comfortable visiting stores and personally tutoring employees on customer service, Nardelli was uncomfortable interacting with front-line employees. The result of all of this was a steady increase in complaints about customer service and deterioration in market position. Nardelli was finally fired in January, 2007. Over his tenure Home Depot’s stock value fell 9% while rival Lowe’s had risen 188%. Nardelli was given an exit package of $210 million; this was in addition to the $240 million he had been paid over his tenure. What I find astonishing about the Home Depot case is that Nardelli was initially hired by a board that had either no knowledge of, or no respect for, the principles and beliefs that were responsible for Home Depot’s rise to prominence. The result of Nardelli’s tenure at Home Depot was a wrecked corporate culture. Once a corporate culture is wrecked, one doesn’t get to say, “Sorry! Let’s start again.” The culture has to be rebuilt, interaction by interaction, decision by decision. 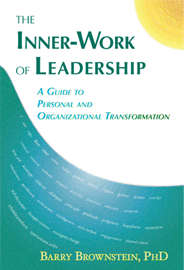 This is a time consuming process and involves examining fundamental beliefs about leadership. At Home Depot, all that Nardelli had to do was be a steward of the successful principles of the company founders. He failed at that miserably. At Chrysler his job will be far tougher. When you buy a car, you want to buy from a company that wants to earn your long-term business by building a safe and dependable vehicle. Given what Nardelli thought was important at Home Depot, he is unlikely to be thinking about Chrysler’s consumers. And you should not be thinking about buying his cars.